Probably, though once in life you reflected that some of talented people find recognition only after end of the activity, something similar occurs and to cars. In the beginning of 90-s’ years Jaguar company relased outstanding under the characteristics of super cars but why XJ 220 practically is not known to modern boys which are fan of Nissan GT-R, and also from new models of Lamborghini? More low we try to answer this question, and also on that — why rich men of those years chose Lamborghini Diablo and Ferrari instead of Jaguar. In 1984 year the command of enthusiasts under the direction of the technical director of the company of Jaguar — Jim Randle, began working out middle oriented engine coupe with engine V12. In working out, experts TWR, the companies known by the high-speed cars helped also. The ready model has been shown in 1988 year in Birmingham. Ford which at that point in time already owned Jaguar “gave OK” to manufacture of a super coupe, but under its requirement, some changes to the main things from which was replacement atmospheric V12, on cheaper turbo charged V6 should be made to a design. We open differences of the serial car from a prototype in more details. 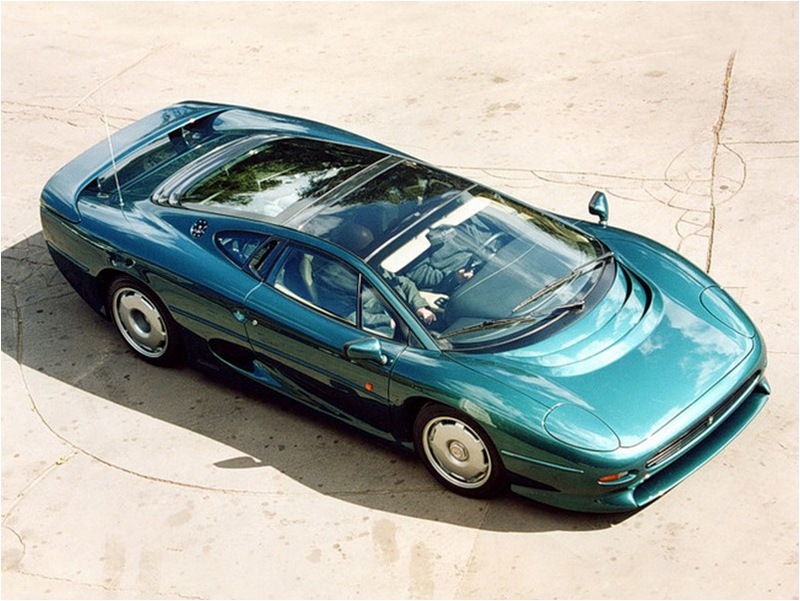 In 1991 year, after presentation in Tokyo, Jaguar XJ220 went to a series. To 1994 when super penalties has been laid off it has been exhausted only 281 car, 9 from which were called XJ220S. Versions with a designation «S» had essential differences from the base version, lower we talk and about them. Figures — 220, used in a designation, specify on max of 1.2 speed of the car, this size is specified in miles, translate them in kilometers and remember in what year this car was issued. Today, looking at modern models of Jaguars, it is possible to tell — neither to, nor after, the English company did not create so outstanding car. If modern Jaguars can be compared with Mercedes XJ220 it was possible to compare to the most exclusive models of Ferrari. 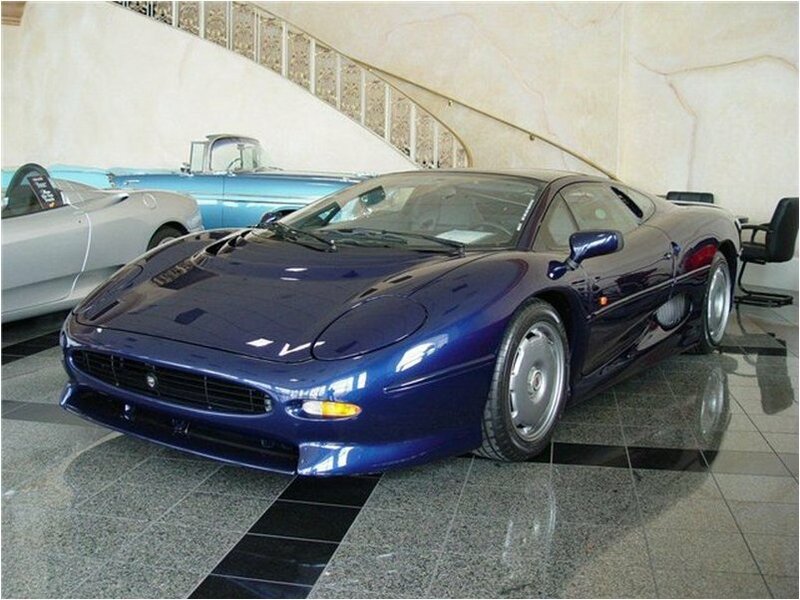 Those years, it was possible to buy Jaguar XJ220 for 560 000$. The sum not small and today, and after all 20 years ago it seemed even more essential. These lines are devoted Jaguar XJ220 technical characteristics, its general review and features. For drop of weight the body of XJ is created from aluminum, thanks to it the equipped weight of the serial car made — 1 650 kg, x1.3i it at dimensions: 4 880 mm — length, 2 220 mm — width, 1 150 mm — height. As you can see the body not small and should be noticed at once — very low, but despite so low cross-section, factor of front resistance — 0.36. For the comparison, Ford Sierra which have appeared in 1983th year had factor aero dynamic resistance at 0.34 — it there was a good indicator for a class of family cars, but after all Ford Sierra body considerably above. The matter is that by working out of XJ 220 great attention was given to clamping force, and it always raises front resistance. Body XJ220S was created from carbon is allowed to lower the equipped weight to 1300 kg. Some automobile journalists those years noticed that in comparison with Jaguar, Lamborghini Diablo the car for all family. Journalists meant extremely low level of a practicality of the English car which partly was a consequence of a road gleam in 110 mm. The small road gleam (ground clearance) at a wheelbase in 2 640 mm did driving on country roads extremely not convenient, and after all the most part buying similar cars live out of town. Front wheels of Jaguar are put in tires: 255/45 R17, rear in tires: 345/35 R18. Wider and low profile rear tire covers allowed with high power will be hooked for road. 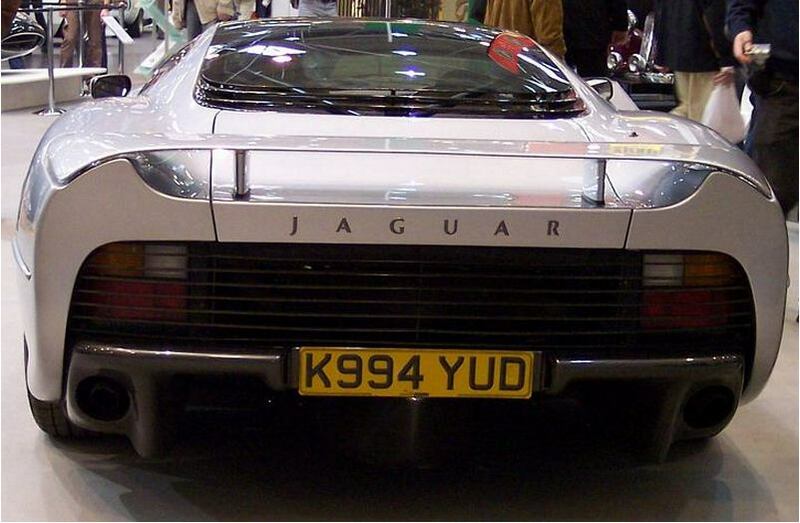 Look at Jaguar XJ 220 photo, unless this car is not magnificent)? Not all rich men liked that XJX220 is not equipped by the wheel booster. In usual execution the electric drive of glasses, mirrors and even seats was provided. 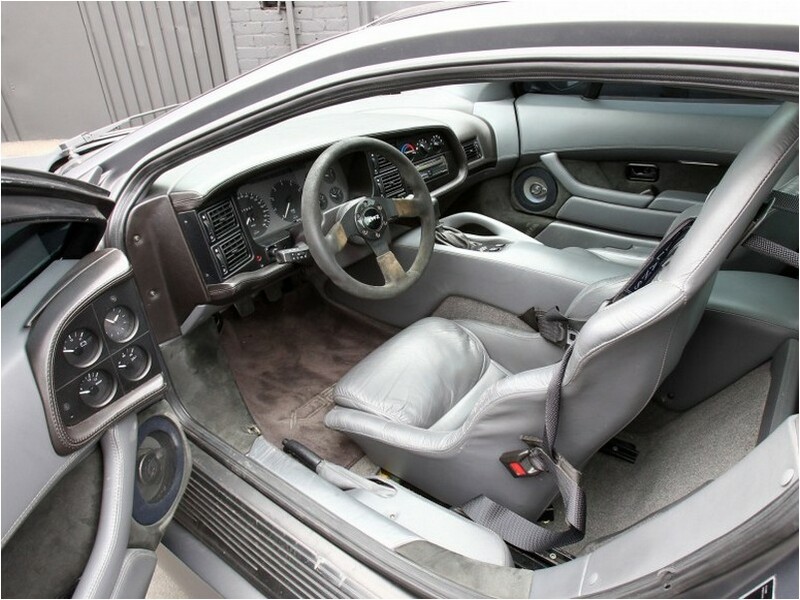 The comfort supplemented also the air conditioner, here only in XJ220S it was not. In base usual (if so it is possible will be expressed) XJ, was signalling. Four dials on a driver’s door very unusually look. By the way, a thickness of doors — 30 cm! Aforementioned dials prompt to the driver about: pressure of forced aspiration, oil temperature in a gear box, about time (hours), and also about degree of gymnastics of the battery. In interior XJ unusually and that the parking brake lever is placed between an armchair and a door of the driver – it you can see on a photo. Initially XJ was planned to equip not only an all-wheel drive, but also rear taxiing up wheels — developers had to refuse it. It is necessary to tell that in the beginning of 90-s’ full control sport cars already released Mitsubishi, remember model 3000GT. Cars exhausted in the first year were not equipped even ABS is speaks about uncompromising character of the car, but the ant blocking system all — appeared in 1992. Atmospheric V12 in volume 6.2 l, developing 500 HP at 700 turns in a minute, has been replaced by more powerful V6 a turbo. Turbo charged “six” at volume in 3.5 liter developed 542 HP and 642 NM a twisting moment. This engine allowed to type 100 km/h all in 3.8 s, and on a line Jaguar could develop 347 kilometers per hour. Capacity of version XJ220 has been hoisted to 680 H.P. and it allowed will be accelerated to 100 km/h in 3.3 s, the maximum speed of such car — 368 km. It is interesting that Jaguar was equipped with five-high-speed mechanics, after all the six-high-speed gear box was habitual for such fast cars those years. Jaguar XJ220 technical characteristics impress and today, but what motor is more prestigious — atmospheric V12, or turbo charged V6? Certainly, the best — the most expensive cars in the world are completed with engines V12. Two turbines Garrett provided excellent capacity, but this motor is not deprived turbos about which owners of cars with V12 know only on. Buying such expensive car, the person wants to receive not only capacity, but also prestige, and the last at motor V6 not so it is a lot of as at V12. To buy Jaguar XJ220 at the best it turns out for 200000 Euros. The price is great, but plus of Jaguar that it is more exclusive, than the Italian cars of those years. To see such car in live it turns out far not at everything, the majority of the released cars stand in garages of collectors and not often leave garage.